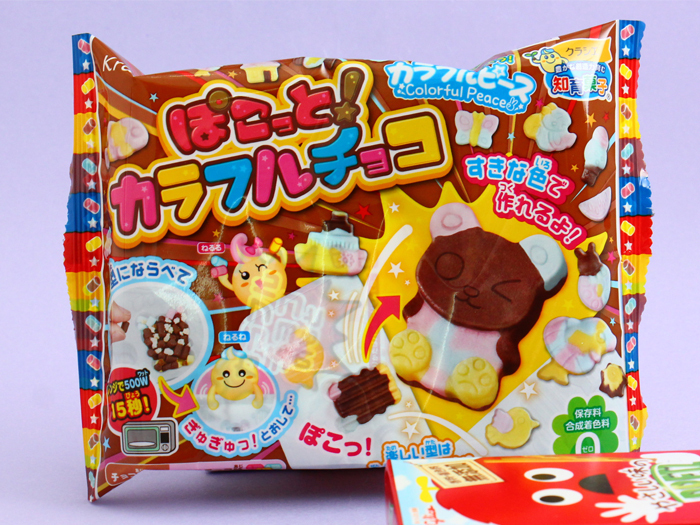 ▲ Pokotto Colorful Chocolate DIY Candy Kit is a do-it-yourself kit for creating your own yummy multi-colored chocolate pieces! 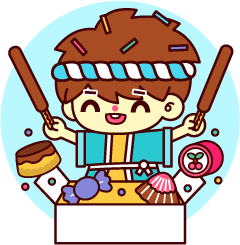 By mixing and placing the colorful chocolate pieces to the molds as you wish, you can create beautiful choco treats for yourself or to your friends! 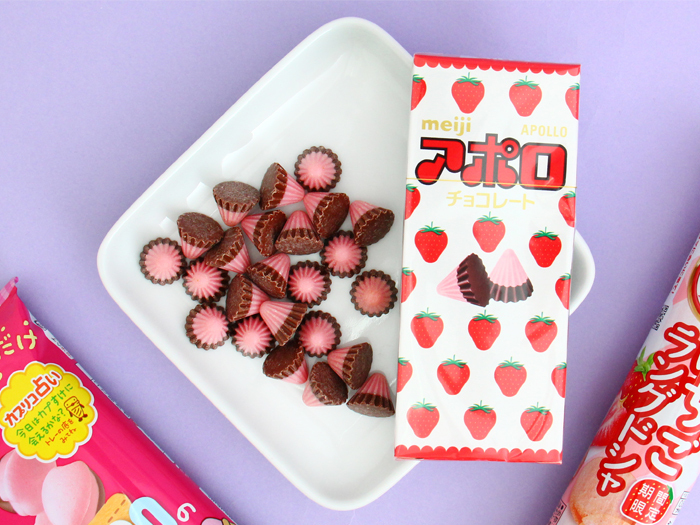 ▲ Meiji Apollo Strawberry Chocolates are delicious and famous cone-shaped strawberry chocolates from Meiji. 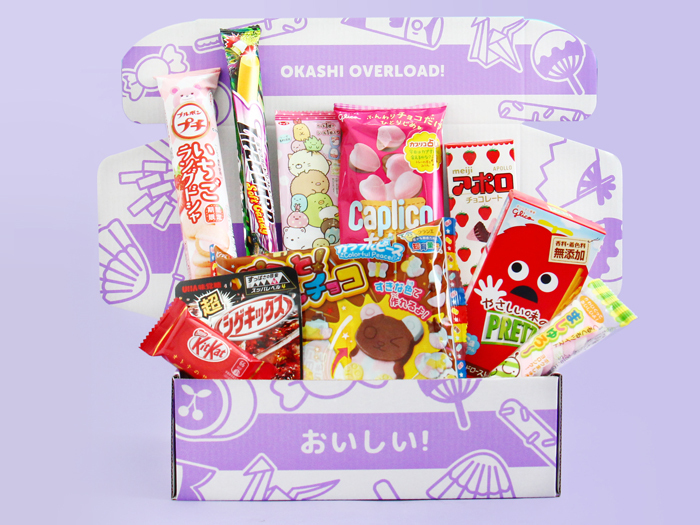 Each piece includes delicious Meiji milk chocolate topped with strawberry flavored white chocolate. 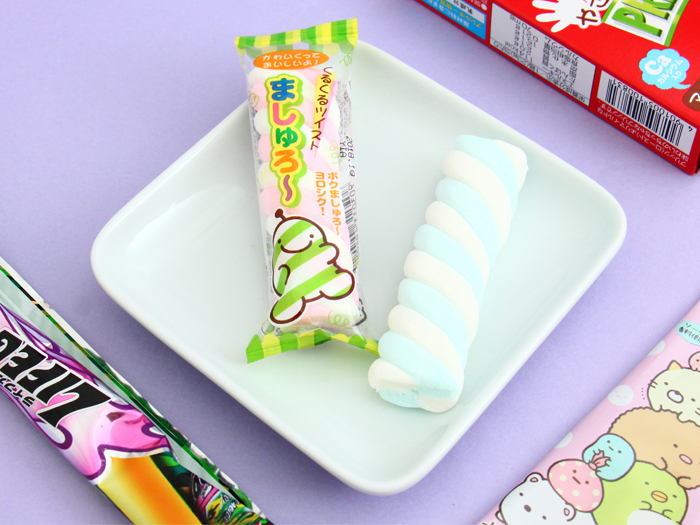 ▲ Japanese sure love sour candies! 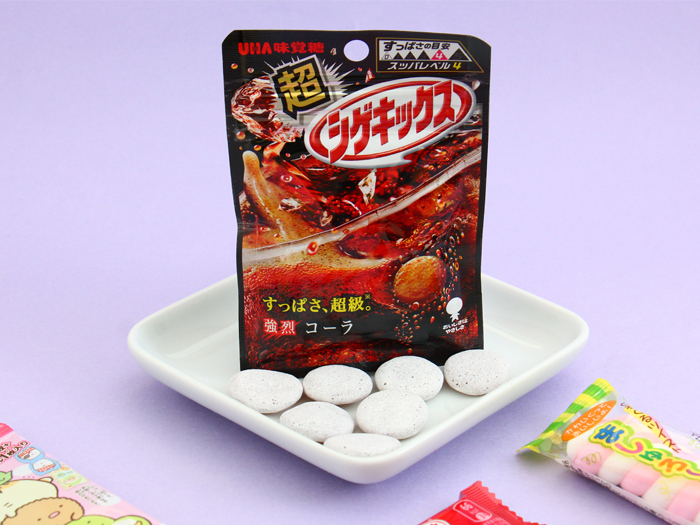 This UHA Super Shigeki Sour Cola Candy bag is packed with super sour cola flavored hard gummies! At first bite, you feel the powerful super sour cola flavor, after that the delicious sweetness hits you! ▲ Japanese Kit Kat is famous for having new and exciting flavors for their traditional chocolate bars. 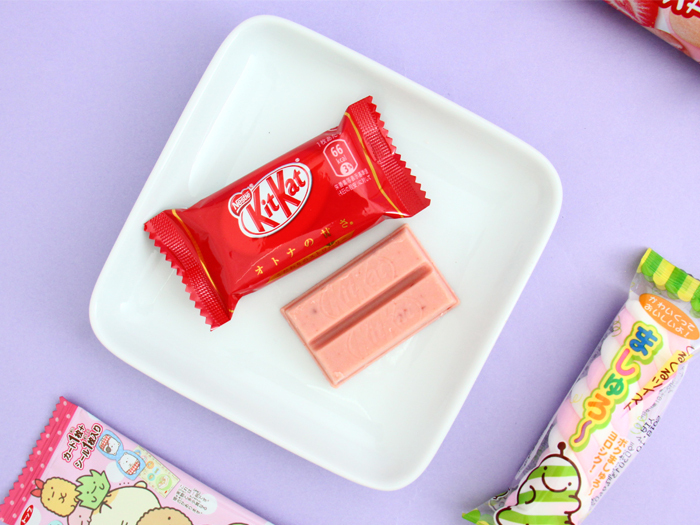 With these Kit Kat Strawberry MiniBars you can enjoy strawberry chocolate & crunchy wafer flavors together! 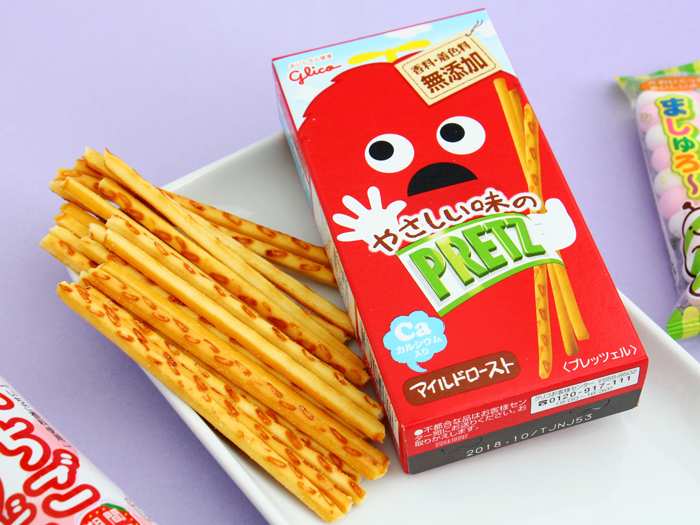 ▲ Pretz is a delicious biscuit snack from Japan, made by the famous Glico! Not only are Pretz sticks covered in a diverse assortment of flavor, but they also come in a broad array of styles and shapes. These Pretz Honey Roast Biscuit Sticks are flavored with a tasty and delicious roasted honey! 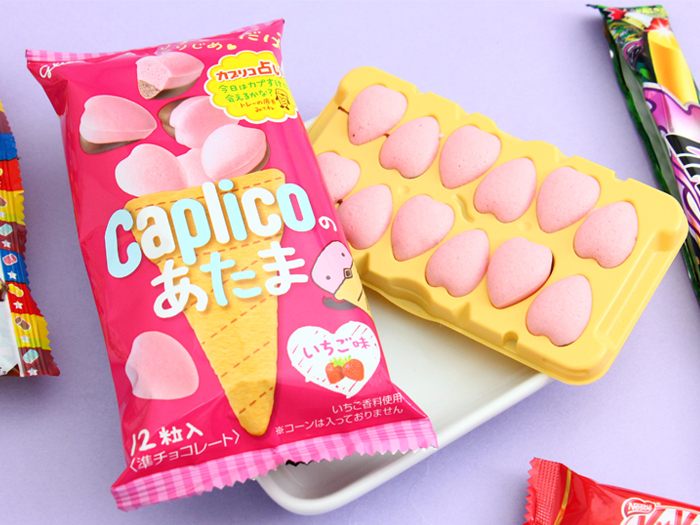 ▲ Caplico is usually offered in an ice cream cone shape but now Glico has turned the amazing snack into small chocolates! 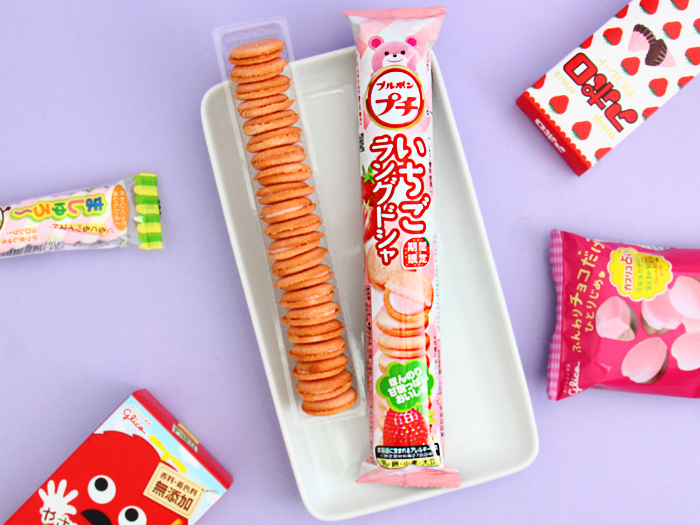 These delicious heart-shaped Caplico No Atama Strawberry Chocolates are so yummy and cute! 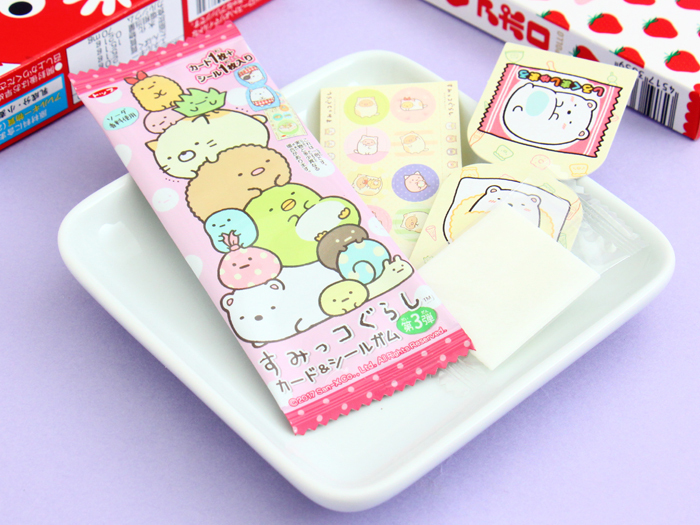 ▲ Each Sumikko Gurashi Gum pack includes a bubble gum in soda flavor, and also includes a character card and set of Sumikko Gurashi stickers! ▲ These lovely bite-sized Bourbon petit Strawberry Cookies are filled with lovely, delicious strawberry cream between the two delicate strawberry flavored biscuits! Tasty and petite cookies made by Bourbon are so famous in Japan! 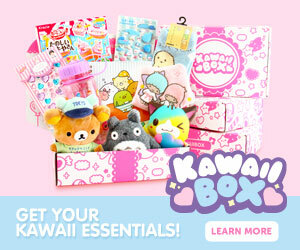 ▲ Yummy, soft and chewy! 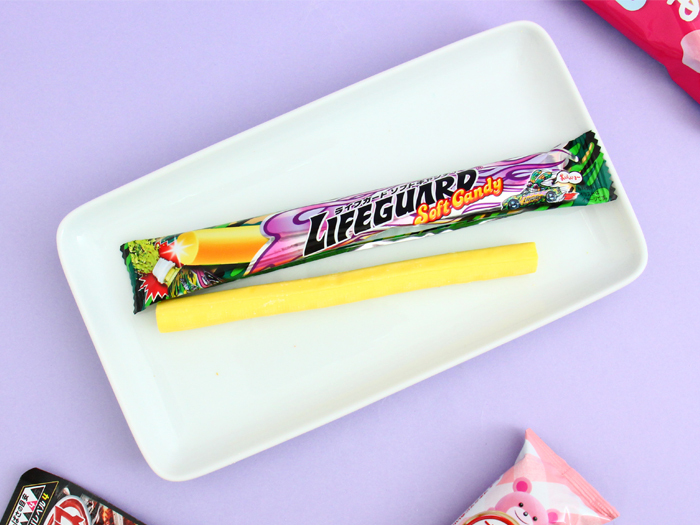 This candy rope shaped Coris Lifeguard Soft Candy has the flavor of the famous energy drink, Lifeguard, by Coris! The famous drink has been available for two decades and is described as “bionic drink.” Now you can eat a piece of energy and get energized on the go!